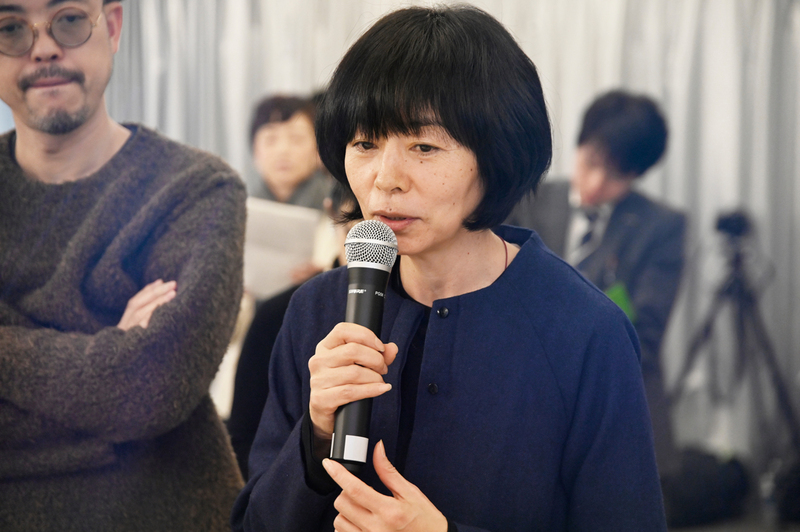 The Final Judging of KOKUYO DESIGN AWARD 2018 took place on January 18th, 2019, and one Grand Prix winner and three Merit Award winners have been selected. 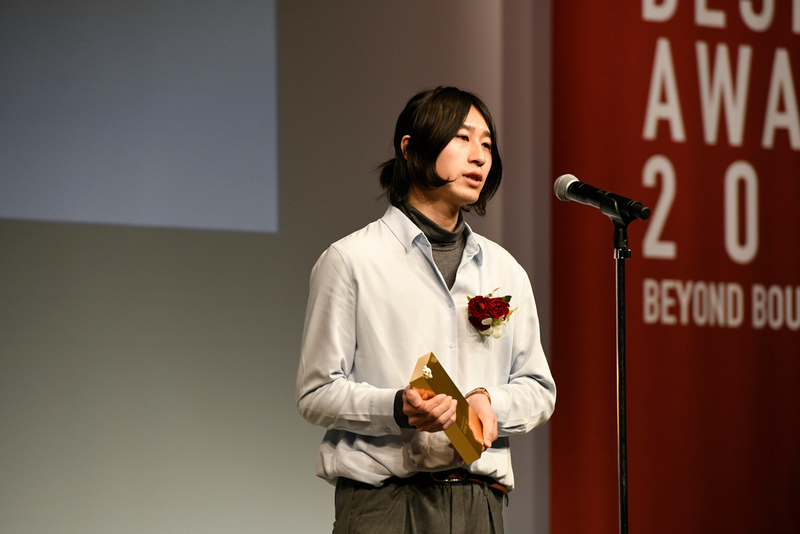 We have received 1,289 entries—766 from Japan and 523 from abroad—and “Sound of Drawing” by Takuma Yamazaki won the Grand Prix, receiving a “yes” from all the judges. In addition, this work also won the Audience Award, which is chosen by the audience at the talk show event. Receiving both awards is a truly impressive achievement. This year’s theme “BEYOND BOUNDARIES” represents crossing the boundaries. As the world connects through the Internet, and international situations and our sense of values change, the boundaries of various things—including regions, genders, and cultures—become blurred, while other gaps and boundaries that were once hidden are now surfacing. 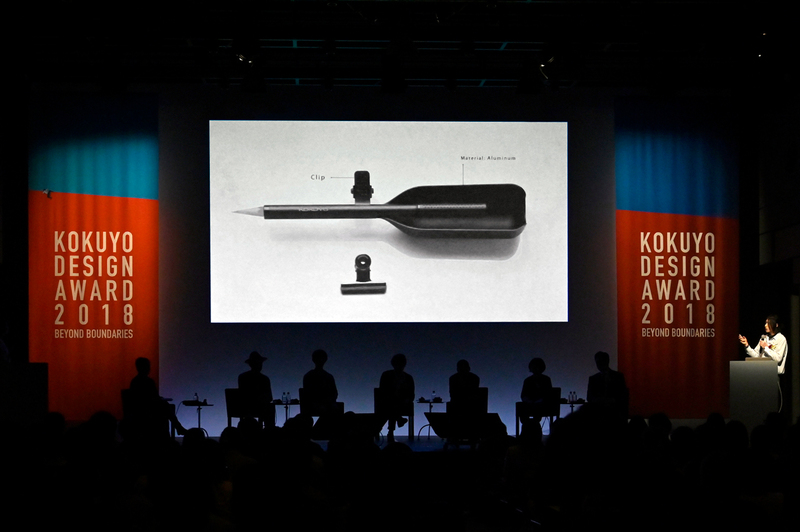 In KOKUYO DESIGN AWARD 2018, we sought proposals which showed depth, observed the boundaries around us, and proposed a way to overcome those boundaries with the power of design through this theme. President Hidekuni Kuroda, greeting the audience before the Final Judging. 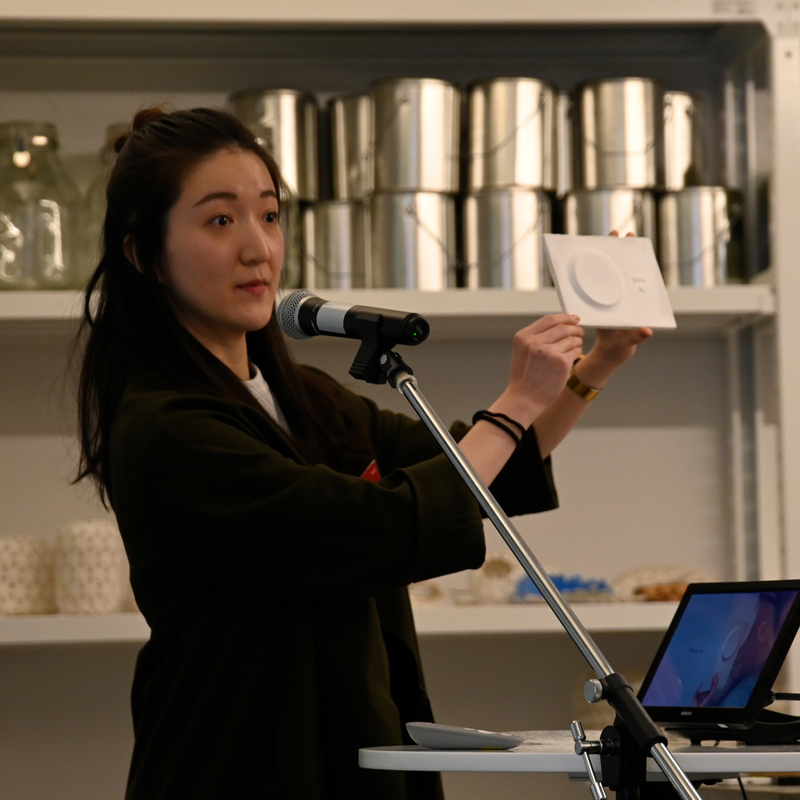 We held the Final Judging at the THINK OF THINGS (KOKUYO’s shop/studio) and showed the presentations by the finalists to the public for the first time. 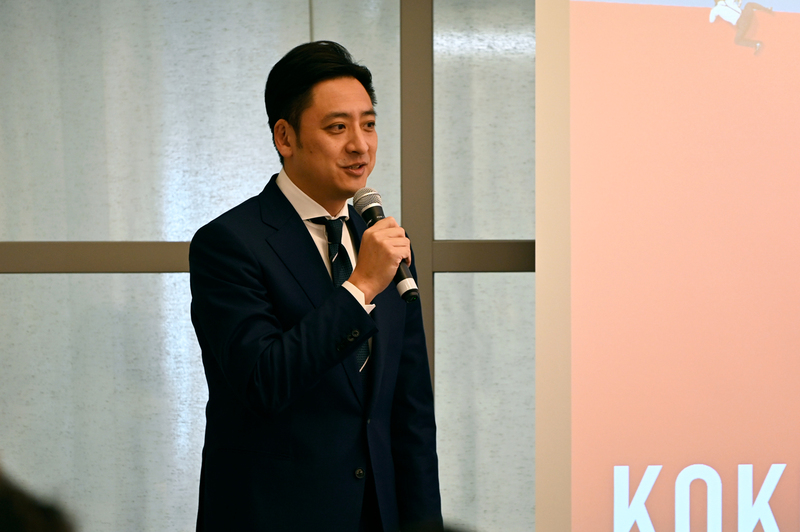 At the beginning of the event, Hidekuni Kuroda, President and CEO of KOKUYO Co., Ltd. greeted the audience. 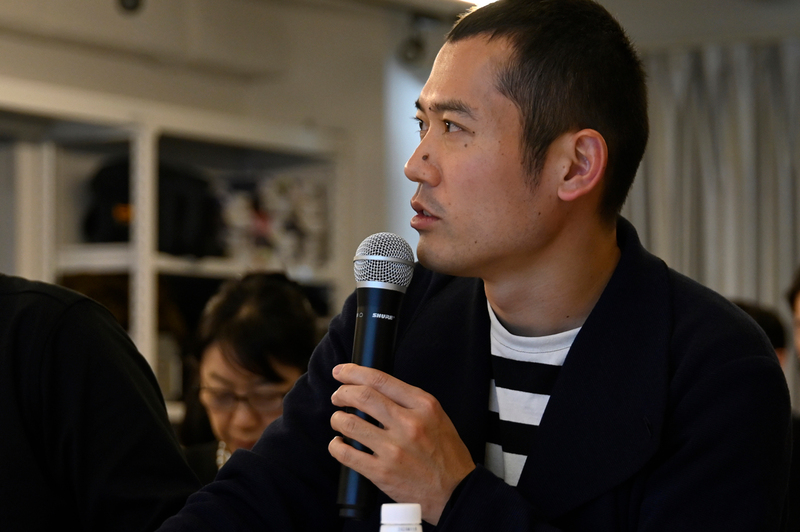 “The KOKUYO DESIGN AWARD has marked the 16th competition this year. I wanted to make this award an opportunity for artists, creators, designers, and alike to be involved with a variety of people, like in a design movement—something more than just a competition. I wanted the award to take a new departure. 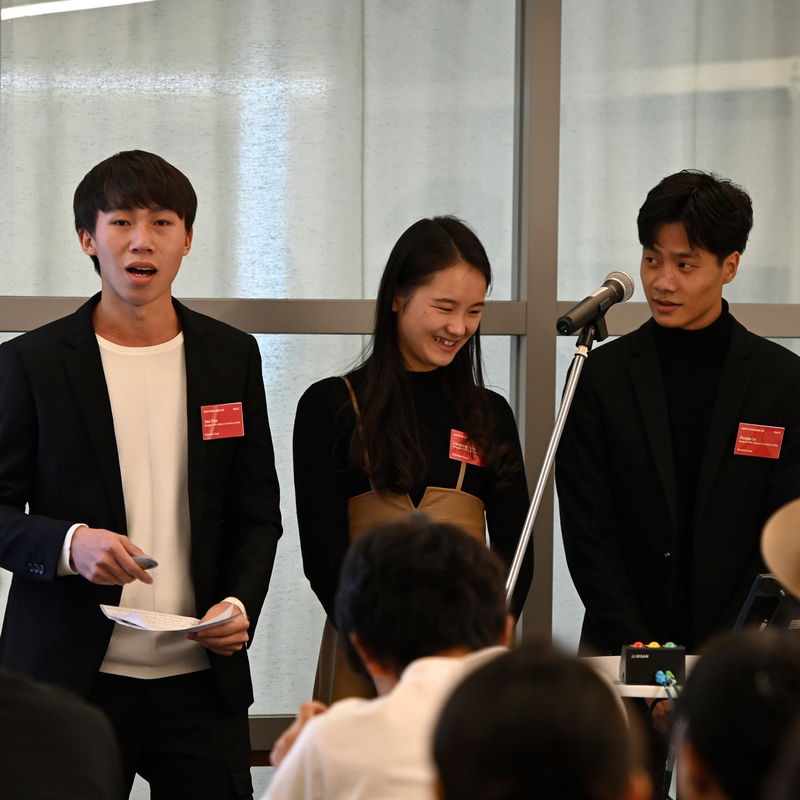 That’s why we decided to share the presentations with you this year.” Ten finalist groups gave impassioned speeches in front of the audience. Many of the judges commented that every proposal maintained a very high standard. The venue was filled with a sense of positive tension while the finalists gave intriguing and in-depth presentations one after another. 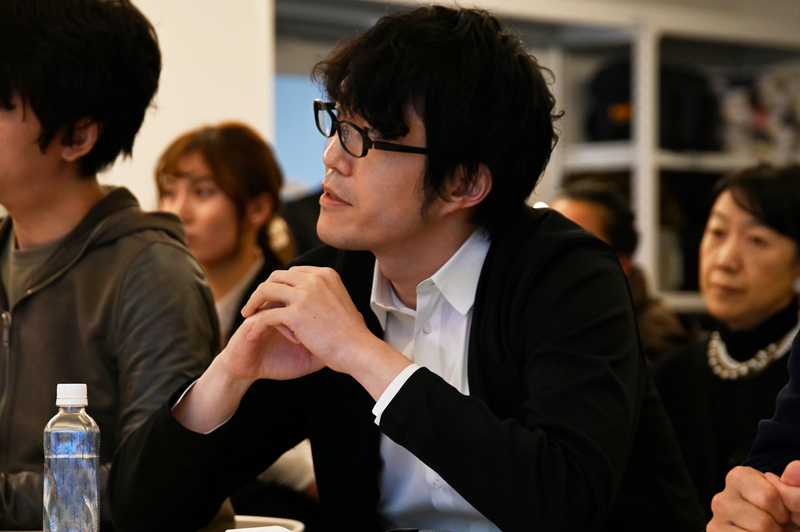 Takuma Yamazaki, who appeared last, presented his work, “Sound of Drawing”. 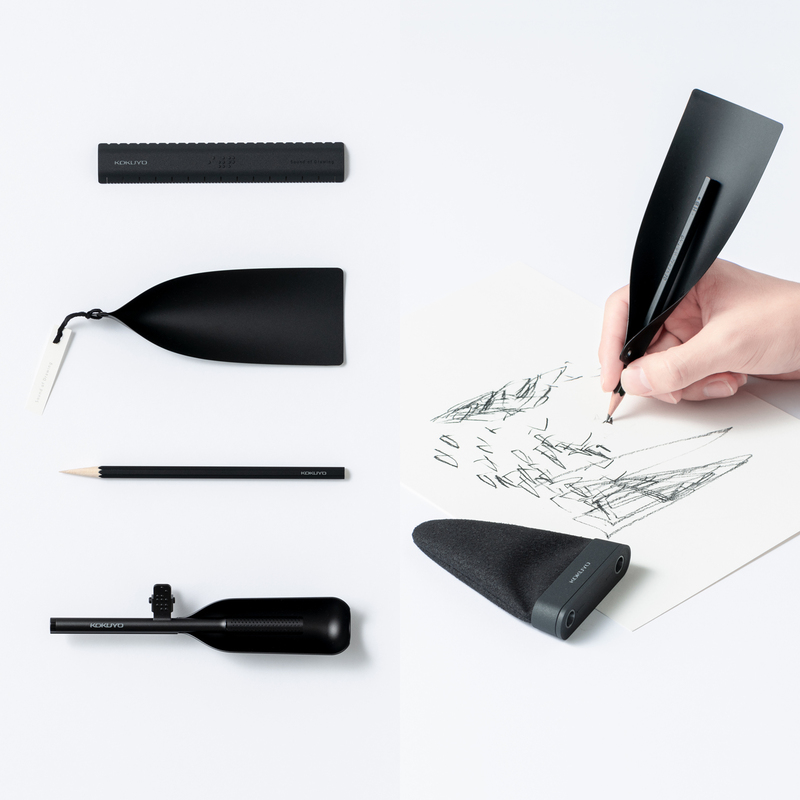 The design revolves around a pencil holder that functions as a tool for listening to the sound created by the friction between pencil and paper. Mr. Yamazaki interviewed completely blind people, and realized that traditional stationery were tools that only specialized in visual information. He then turned his attention on the sound of friction created by a pencil. By amplifying these sounds with a PVC pencil holder that functions as an acoustic diaphragm, he introduced a world where everyone can experience as though they’re playing an instrument. 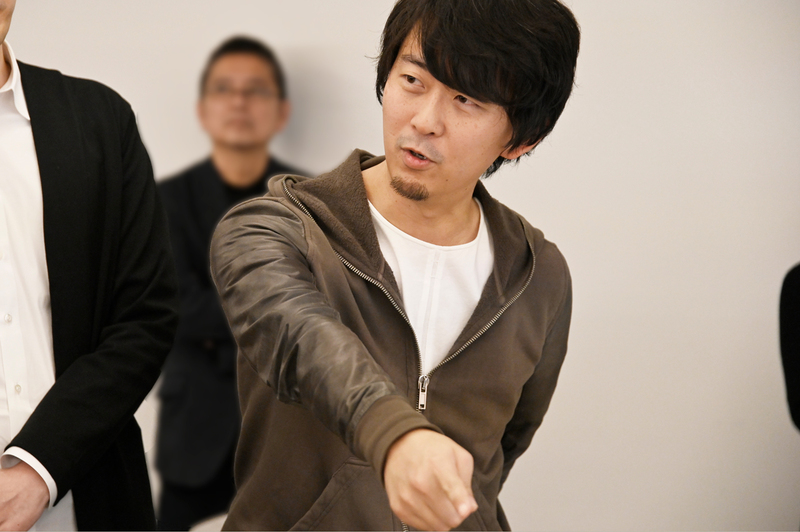 Mr. Yamazaki held a workshop with completely blind people, and asked them to use his tool. “Off their own bat, they made up a game to guess written characters only by listening to the friction noises of the pencil. They said they enjoyed the experience which was like playing a game of catch, but with sound,” he commented, and a storm of applause broke out from the audience. 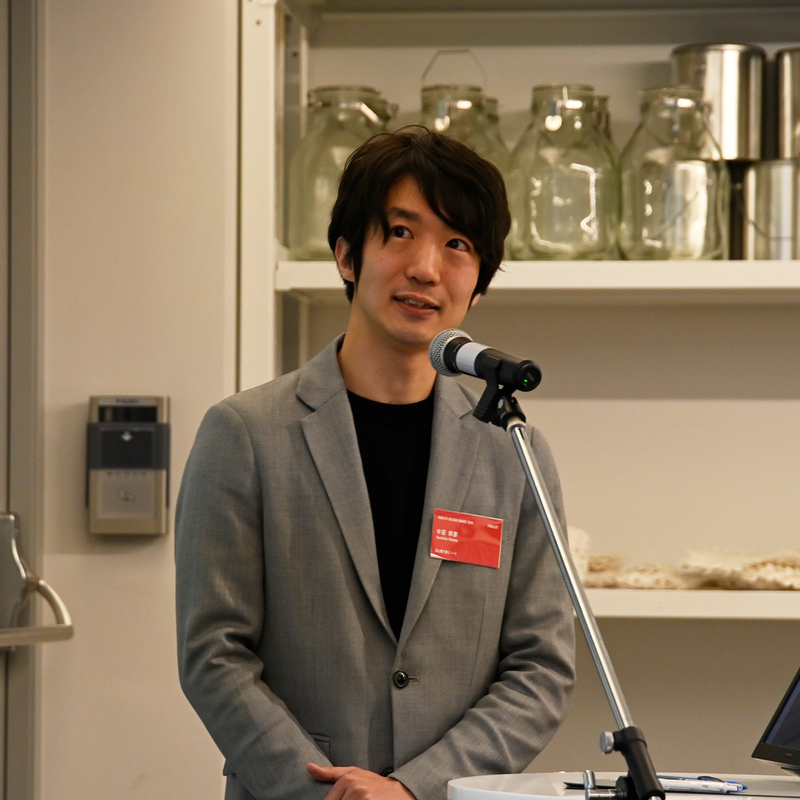 Takuma Yamazaki, giving a presentation at the Final Judging. Mr. Yamazaki also meticulously investigated the materials. He lined up the prototypes of the pencil holder which were made of tin can, PET bottle, and other materials on the table of the judges, and introduced two of the prototypes—one made of PVC, which he adopted in the end for its versatility, and the other made of aluminum, which looked like more of a musical instrument. The judges and audience were also very impressed with how well-made these prototypes were. “Sound of Drawing” consists of various items, including a pencil holder, pencil sharpener, and ruler. Throughout his presentation, the judges were absorbed in writing with the pencil holder and listening to the sounds it created. “Converting a pencil, which is a tool for describing visual information, into something that describes sounds. 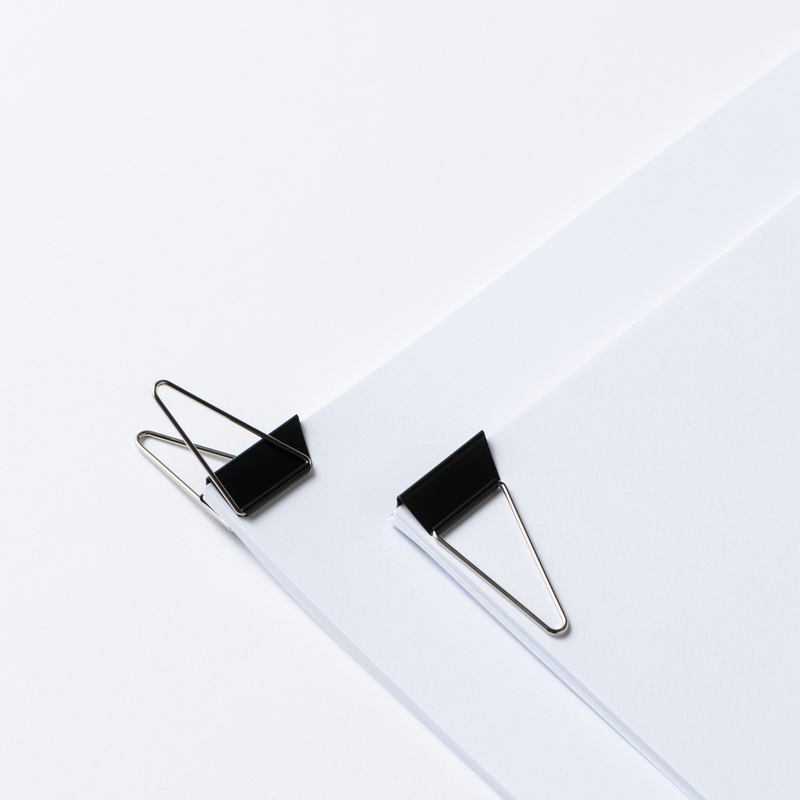 This unprecedented challenge has crossed various boundaries,” commented Masashi Kawamura, while Yasuhiro Suzuki said, “I was amazed to see how the stationery we’ve been long accustomed to from childhood can broaden our perceptions. It is an absolute surprise, in a way,” among many who praised the proposed design. 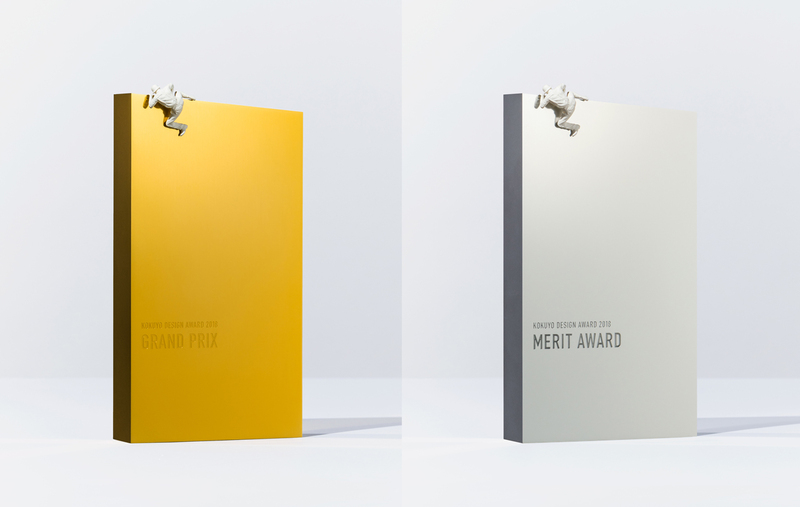 The work won the Grand Prix, earning all the votes from the judges—the judging finalized faster than ever before in the history of KOKUYO DESIGN AWARD. 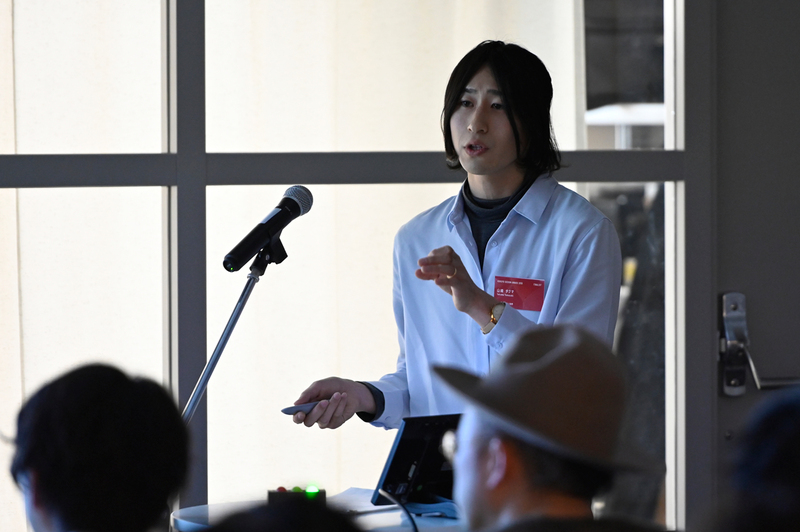 Akihiro Toyofuku, introducing “Smart Double Clip” at the Final Judging. 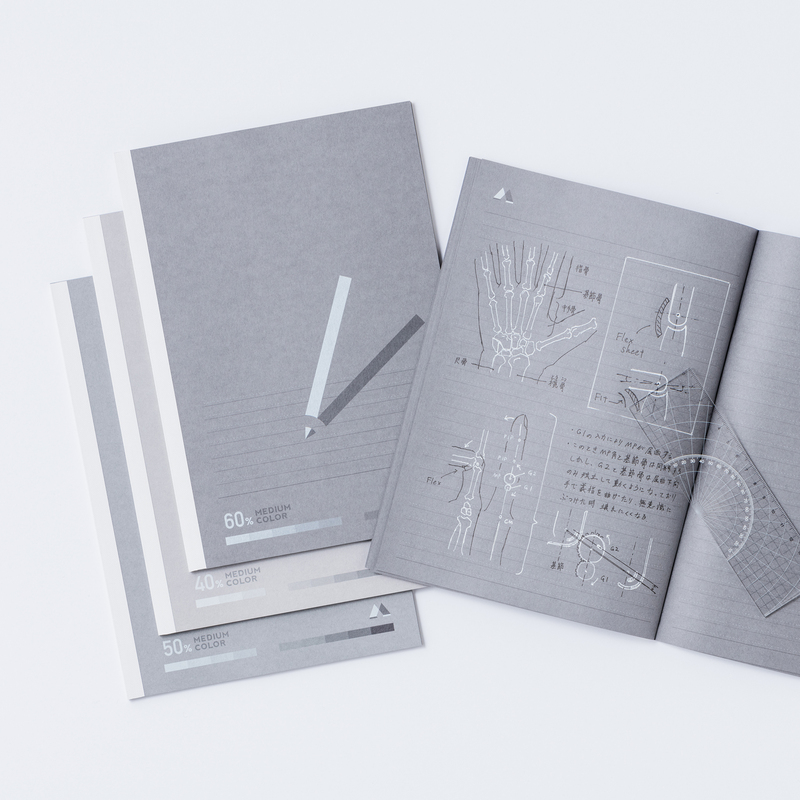 “Monochrome Notebook” by Kunihiko Nakata, another winner of the Merit Award, presented an idea that utilized the boundaries of human eyesight (gaps that occur when recognizing the intensity of color). By writing letters in black and white on a gray paper, you can concentrate on one color at a time when reading. He also made gray papers in three different shades according to the usage, allowing for customers to enjoy the process of choosing the product. The judges were inspired by the design and provided some development ideas. “It is very unique that you can express light with a white pen. 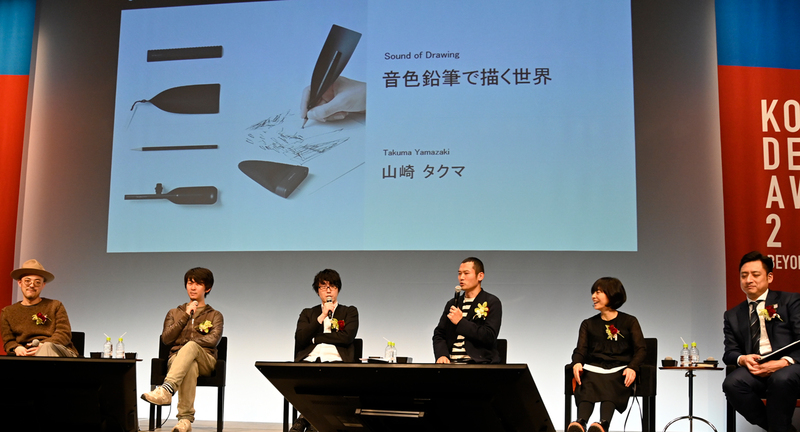 Creating a note with no lines for sketching may be a good idea, too,” mentioned Ryosuke Uehara. 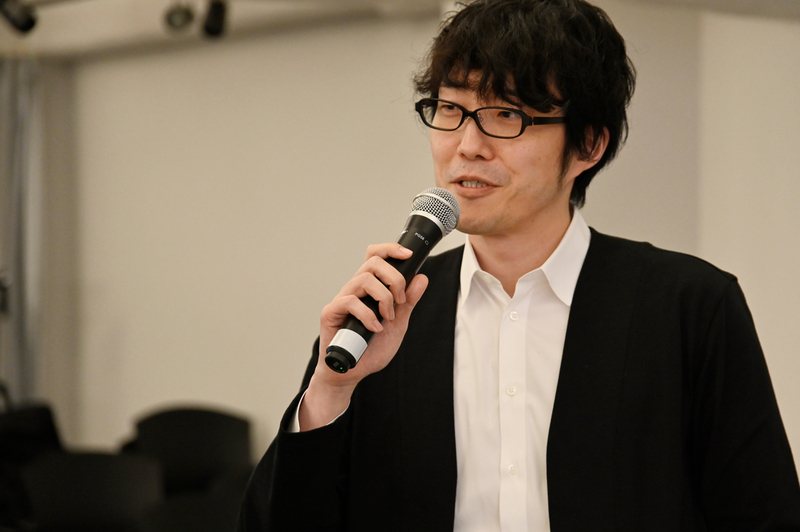 Kunihiko Nakata, giving a presentation on “Monochrome Notebook”. This year, the Award received 1,289 works in total, and 523 of them were international entries. 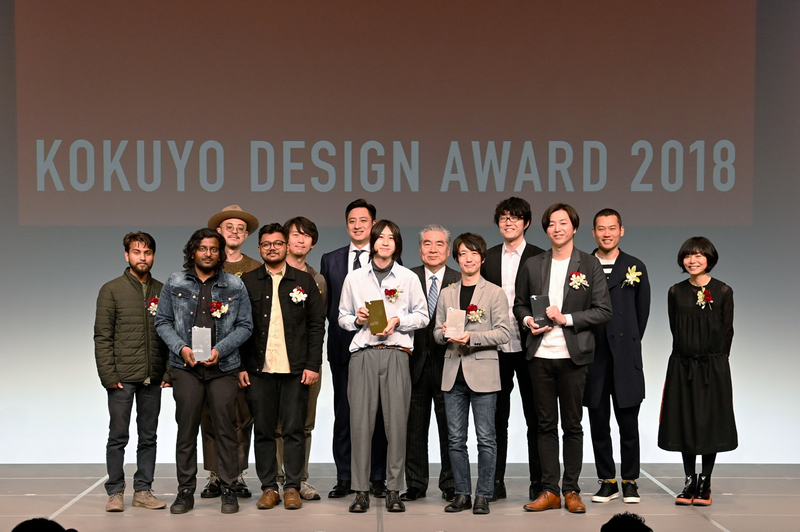 Four out of the ten finalists were from China, India, and Taiwan, and it highlighted the increasing global recognition for the KOKUYO DESIGN AWARD. Many of the works submitted to the Award maintained a high level of quality, utilizing the characteristics unique to their countries and views. “Palletballet” — a design proposed by a group of students from India — was highly praised by all the judges. “Palletballet” by Soch from India also won the Merit Award. 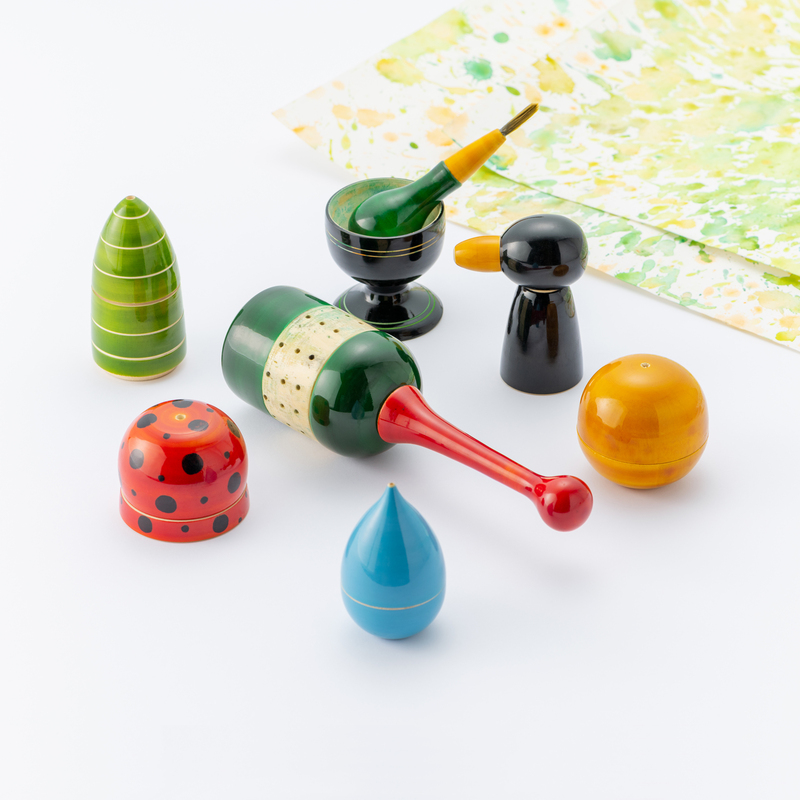 By utilizing a traditional technique for making toys, they presented a fun and beautiful tool that enabled children to immerse themselves in drawing and painting. Also, “Riverstone Eraser” by Dongguan GAFA Cultures & Creativity Institute / Jinxi Chen, Zhongbo Lu, Liangfang Fang from China got inspiration from the pattern of stones that are highly prized as a souvenir and good-luck charm in China. It is an eraser which users feel more attached to as they use it. 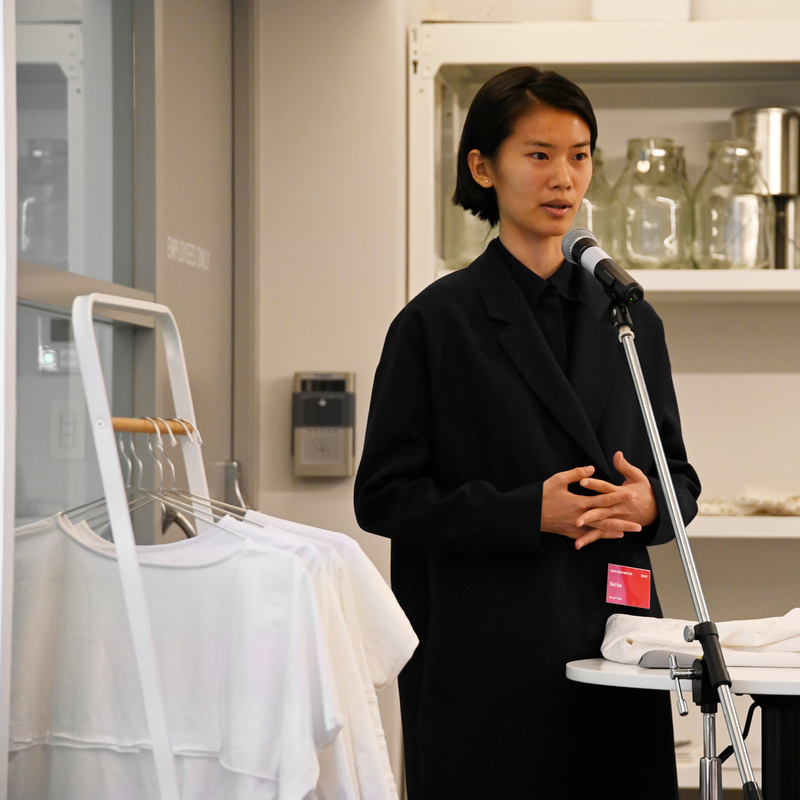 “Cut-out T-shirt” by Shel Han presented an idea for T-shirts in which users can enjoy the process of cutting clothes. In “BGM” “sound” postcard by MingHsi Chou, the digital-native designer focused on the actions of our bodies and perceptions, and the delicate interactions that can be achieved only by analog media, and proposed a postcard with which users can record sounds while traveling and send them by post. These two among others particularly impressed the judges. 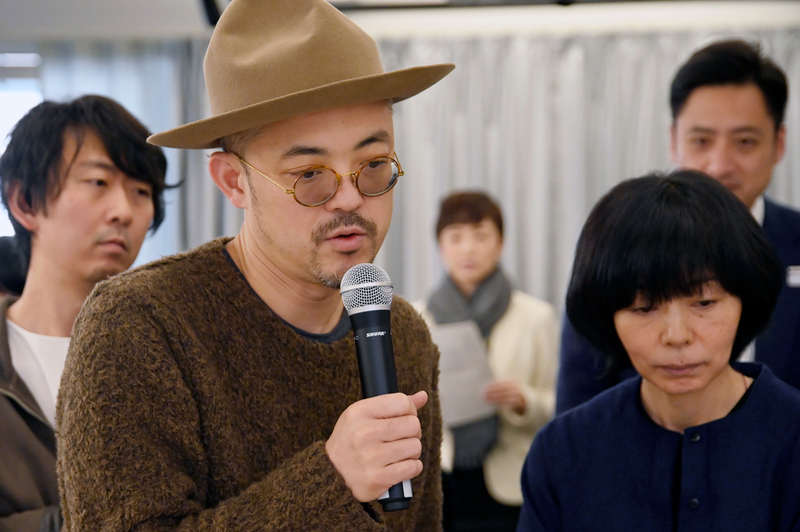 In the talk show held at the SPIRAL in Aoyama after the awards ceremony, hosted by Ryuko Kida, Brand Director of the ELLE DECOR magazine, the six judges looked back on the KOKUYO DESIGN AWARD 2018. 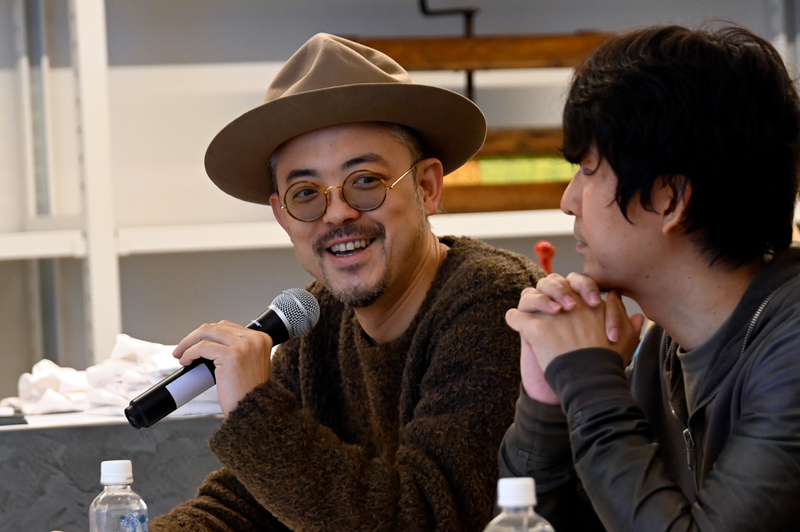 They commented that the level of proposals was higher than ever before, and that the award may take a new departure as an international competition, having received increasing entries from countries other than Japan. 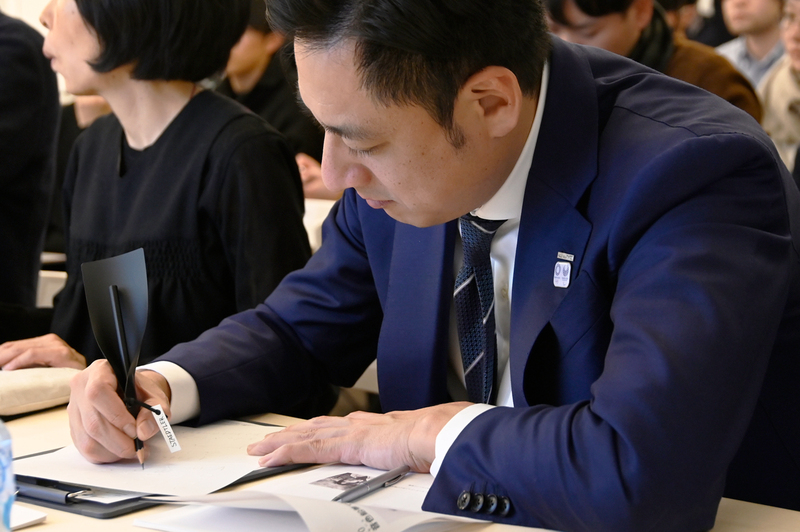 They also mentioned that the KOKUYO DESIGN AWARD would keep progressing as a design competition, that they enjoyed being inspired through the judging, and that they had even higher expectations for further development of the awards. The judges revealed the designs at the public talk. 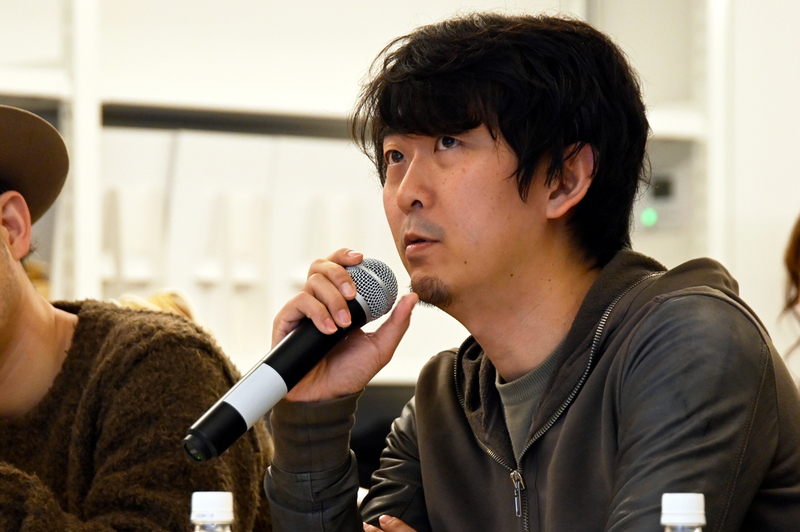 The trophy was designed by Masashi Kawamura. He created the trophy with a mini figure of a person trying to climb over a wall, representing the key visual of the 2018 Award in three dimensions. 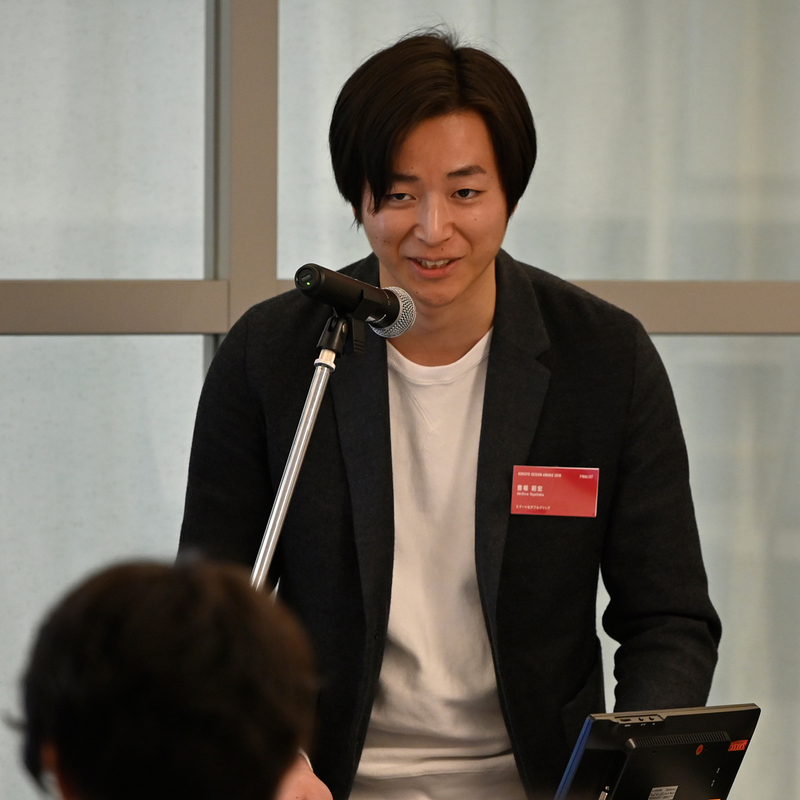 Hidekuni Kuroda, President and CEO of KOKUYO Co., Ltd.
Mr. Yamazaki — the winner of Grand Prix — gave the presentation that he had given at the Final Judging once again at the talk show event. 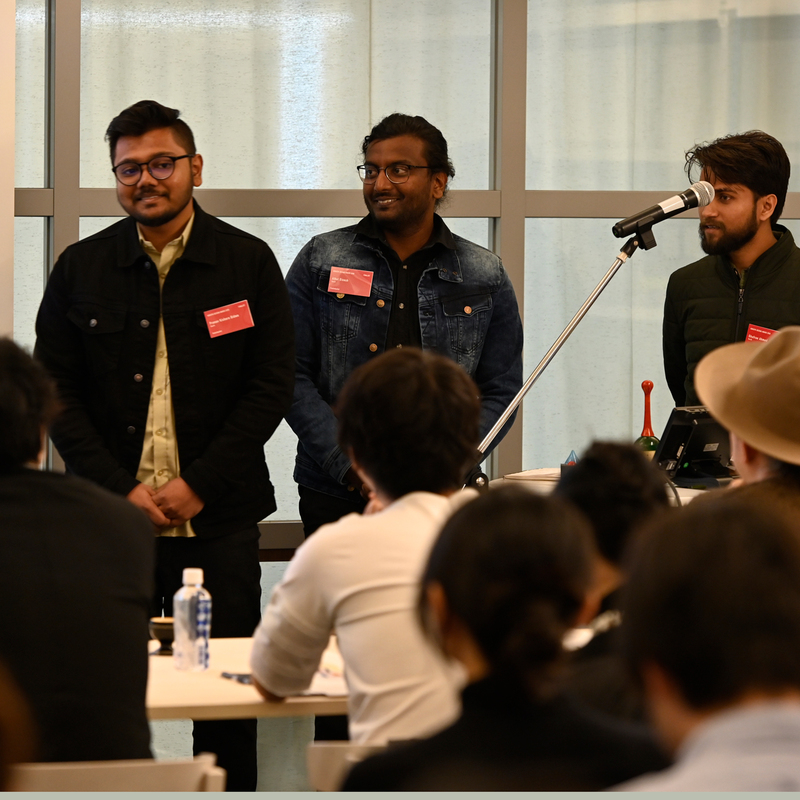 “In this competition, I focused on the people who are going to use this product, and I placed emphasis on how to make use of the feedback I received at the workshop in my design. I had to go through trials and errors quickly in a short period of time, adjusting the gap between my hypothesis and the verification results, and creating different prototypes. I knew that my theme was rather difficult to be understood, and I tried to explain the flow of my processes, including what kind of boundaries I found, how they were overcome, and what happened as a result. I was surprised to win the Audience Award, as I assumed my proposal would not be understood by people who have not used my products. I’m happy if they related to my story. When I won the Grand Prix, I was relieved that things I’d been working on finally achieved closure. 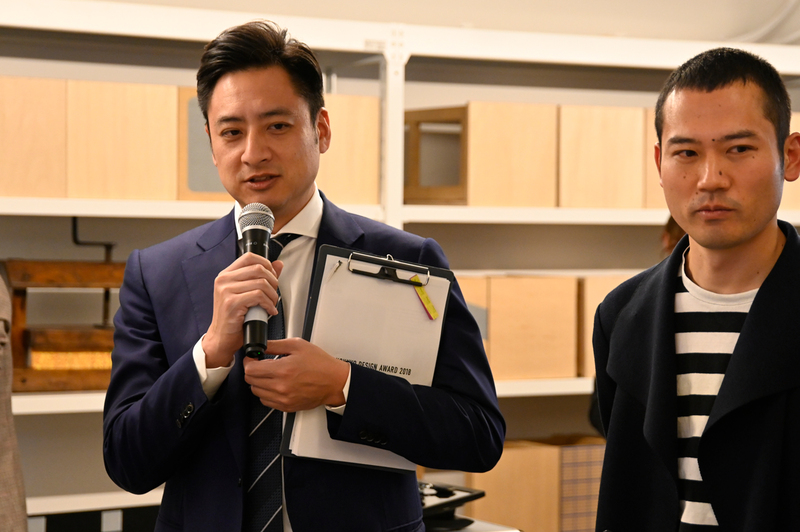 Mr. Yamazaki, telling how much he was pleased to have won the Grand Prix with the trophy in his hands at the Awards Ceremony.